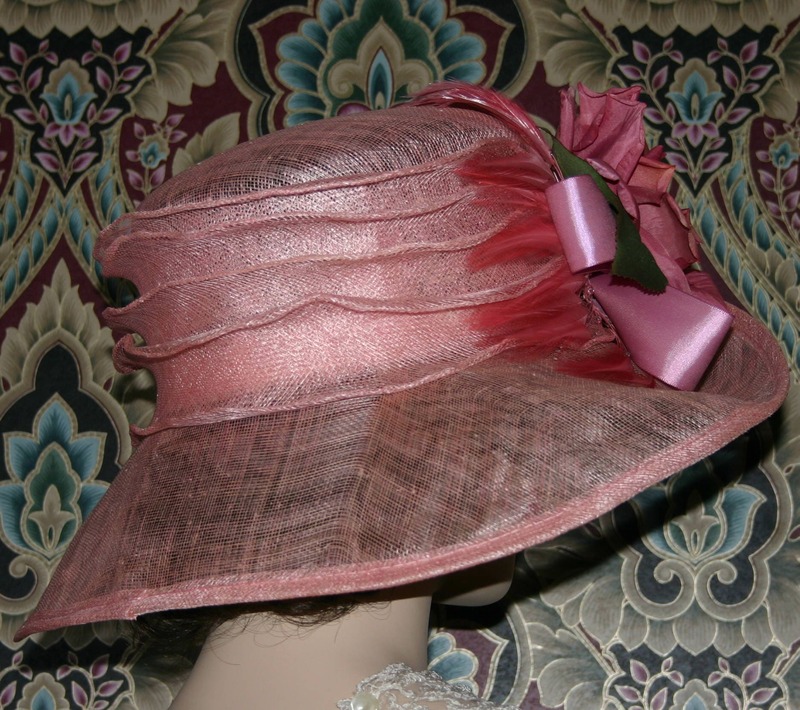 Downton Abbey Hat "Rosy O'Brian" is a perfect One of a Kind hat for a Tea party or Flapper party; it's also perfect for Church or Easter. 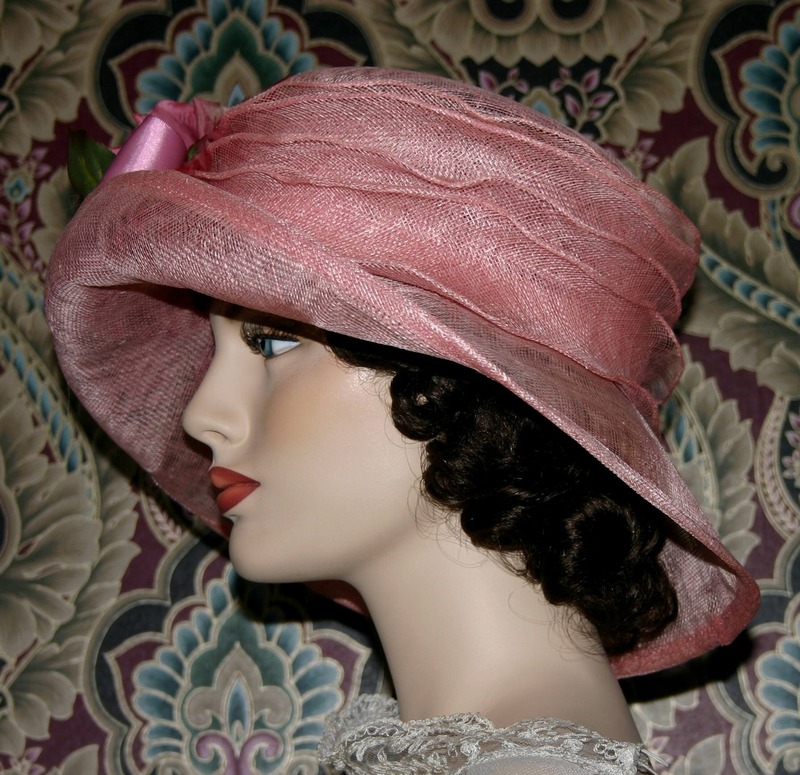 It's a flapper Hat designed over a beautiful pink sinamay hat base. 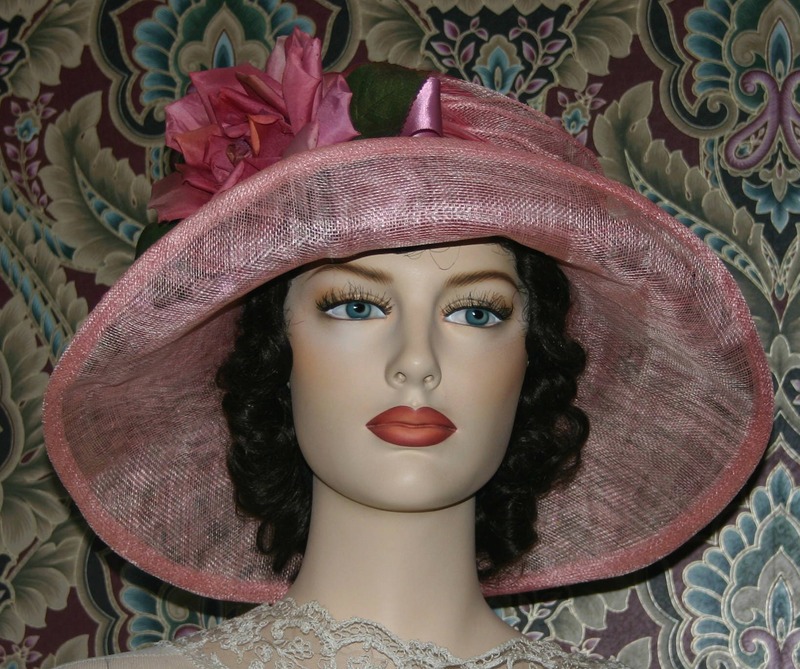 The accents is a beautiful life-like mauve rose with a backdrop of petite mauve coque feathers and rosy mauve satin ribbon. 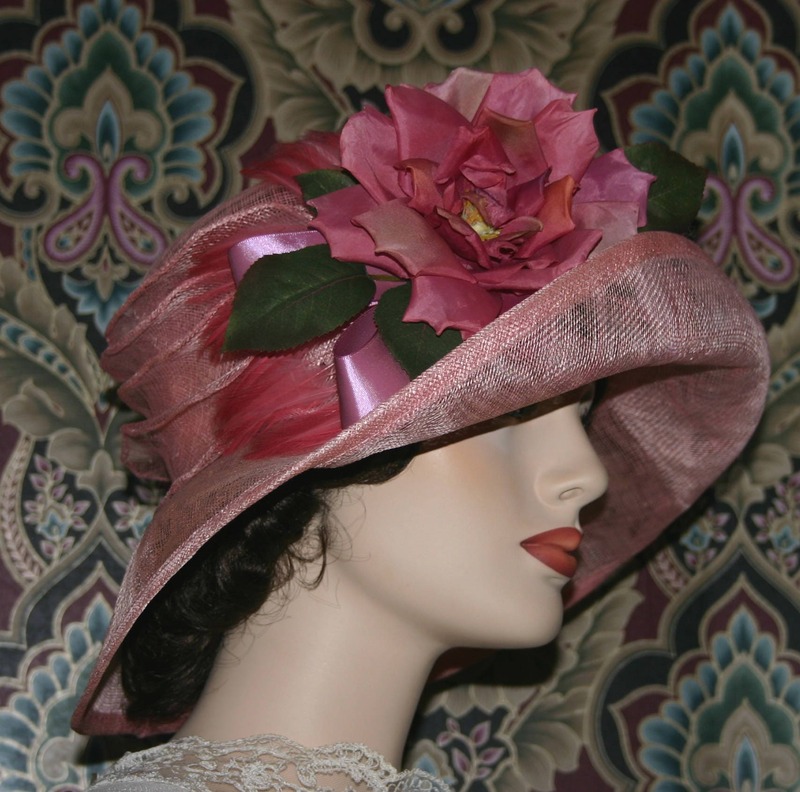 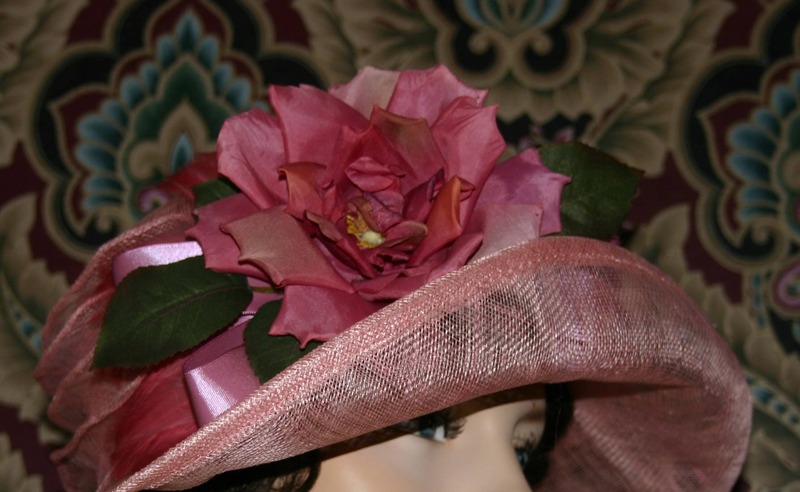 This hat is perfect for wedding, church, tea party or even the Kentucky Derby. 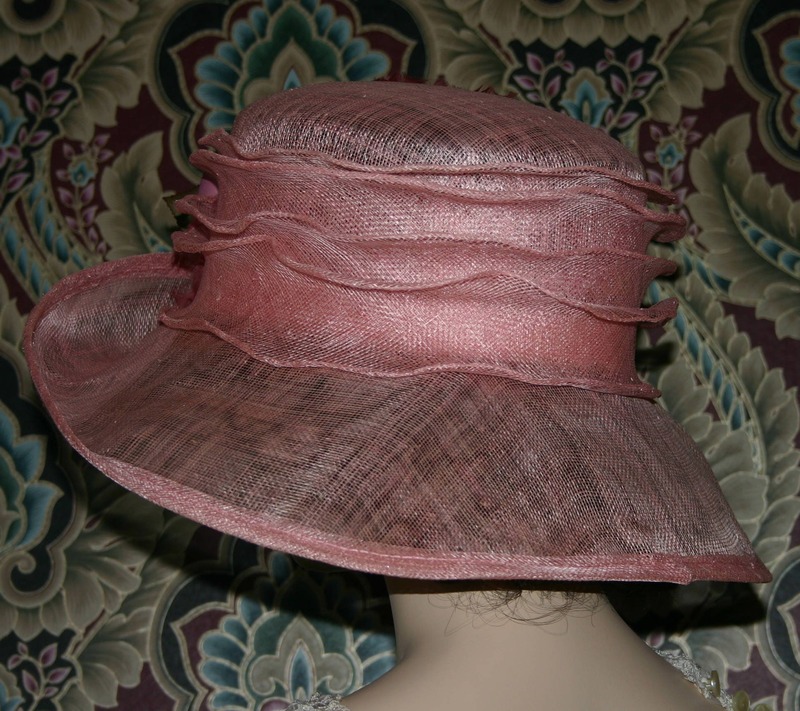 This hat size measures 22.5 inches and I can include a hat size reducer so it can be made smaller for a perfect fit. 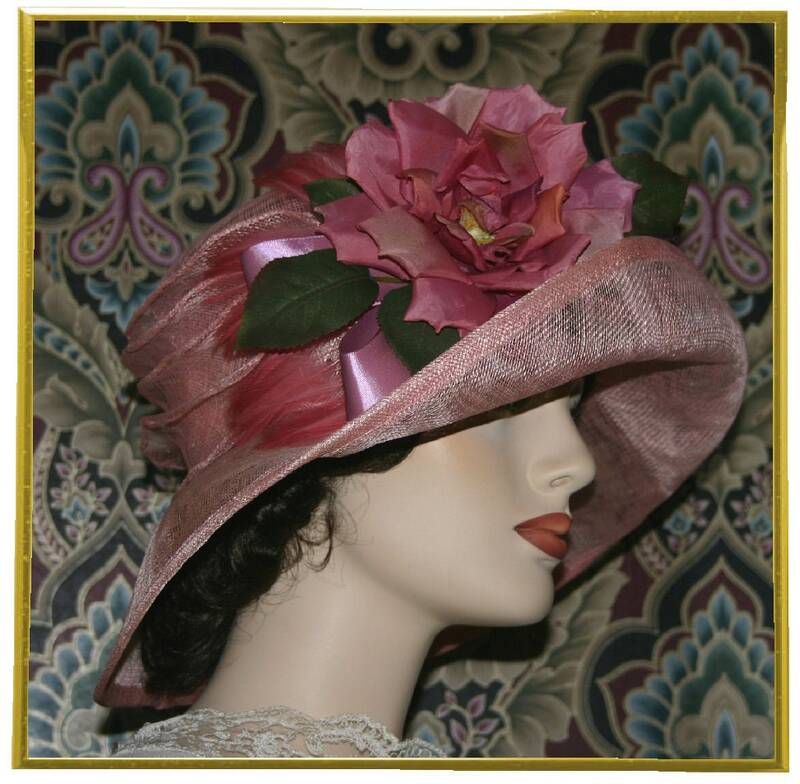 Please see instructions below: How to measure your head.